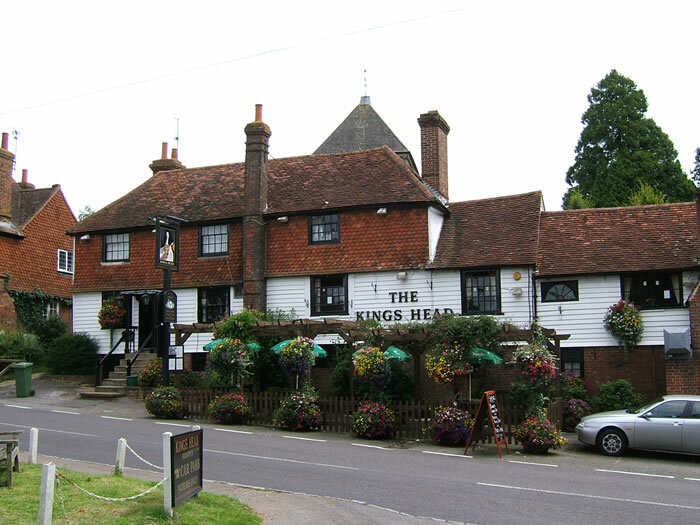 The Kings Head is an historic 13th century pub serving local beer from Rudgwick's Firebird Brewery. The pub has a central bar with leather sofas and wood-burning stove at one end and restaurant area at the other. There is an attractive flower-covered seating area at the front of the pub. The pub is right in front of a very old Norman church which is part of a conservation area for the village. The Onslow Arms is ~ 4-5 miles [6-8 km] from here.